They are indeed beautiful pens. I own two, including a Decapod similar to the one in the photo below. In the face of the existential threat of email, Nakaya, based in Tokyo, doubled down on quality. 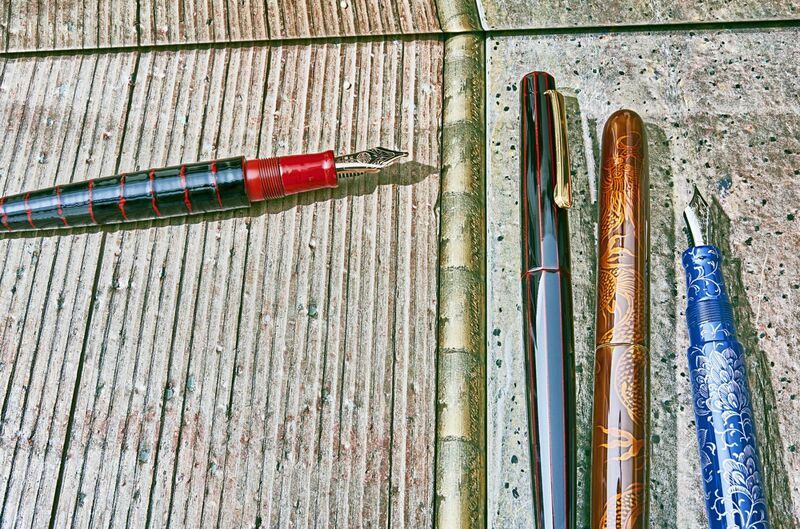 …The Nakaya Fountain Pen Co., in Tokyo, was one of the first pen makers to realize this, doubling down on individual craftsmanship even as the industry as a whole began trending toward mass production. What seemed like folly 20 years ago is starting to look more and more like smart business…. Previous PostFountain Pen for a Nickle?Next PostRobber Armed with a Pen Nib?